...And so it was. 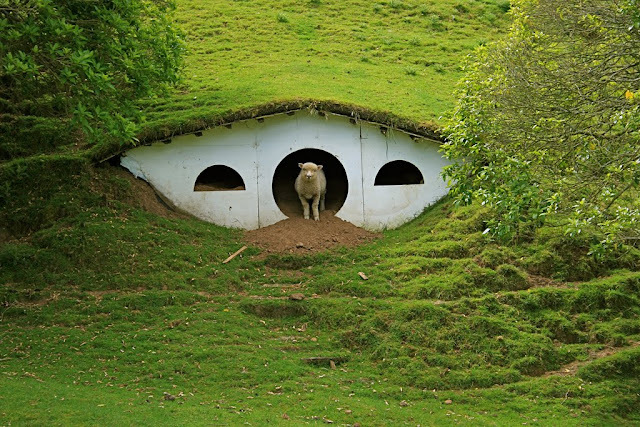 However, it does look as if the sheep have discovered a new home and evicted the previous hobbit owners. A shame in some ways. 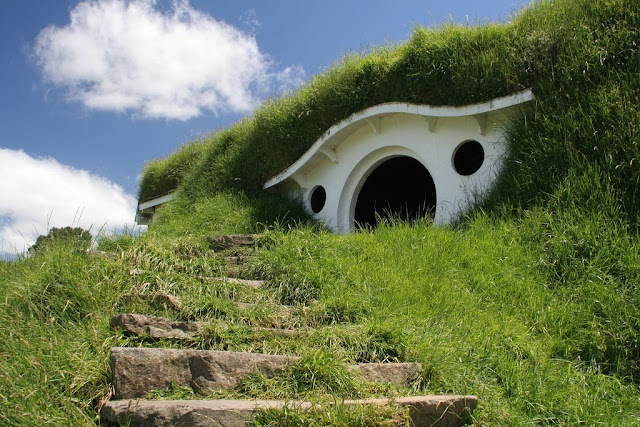 However, the structures were never built and then fully furnished - all the scene's inside of Bilbo's house were shot in a studio far away. 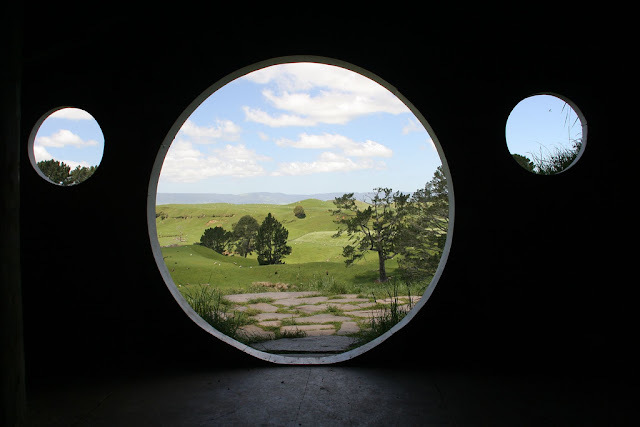 In other words, don't go to Matamata's Hobbiton expecting Disneyland. 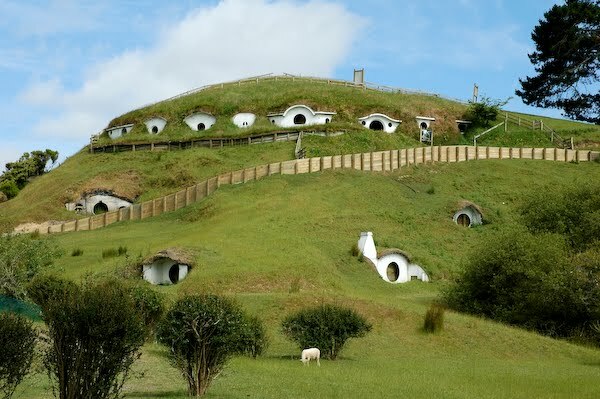 Yet while you may be enticed to this rural community by the ghosts of Peter Jackson's movies, there is more to the place than Hobbiton, even though it is still a quaint remnant of a supreme series of movies. The set still has a charm all of its own. OK, you may need to squint a little to imagine a populated village, with smoke rising from the chimneys. 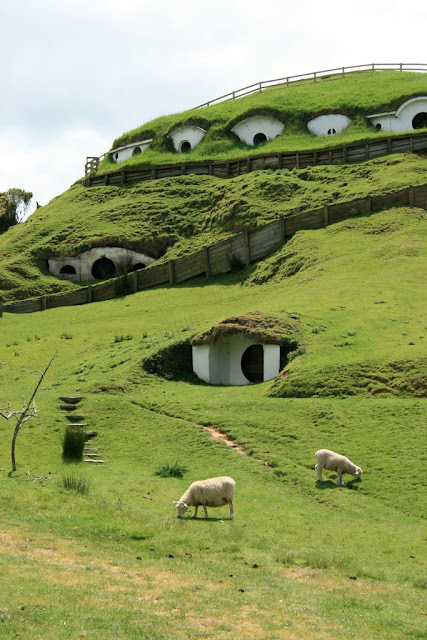 Yet the New Zealand countryside here is at its most stunning and the farm on which Hobbiton sits offers tourists a tour, showing you how sheep are shorn (for breaking squatting laws, perhaps) and the opportunity to pet the lambs. 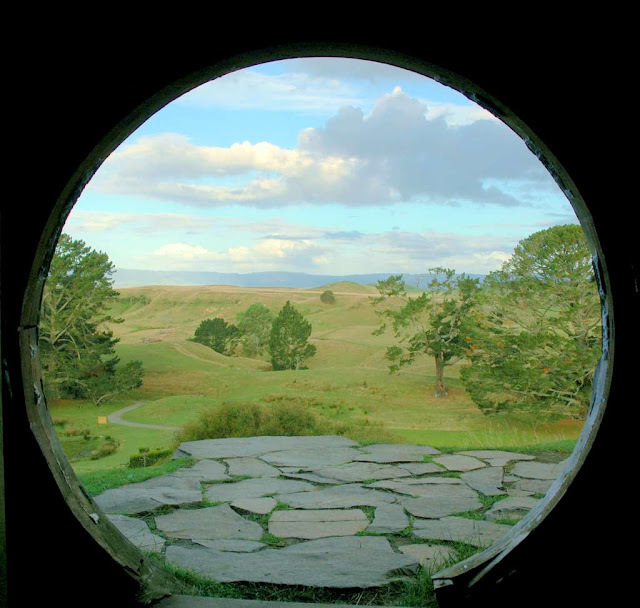 Just sit back, use your imagination and you will be in Hobbiton. Just look at the scenery, after all. You are in the Shire. And no, you can't eat the lambs. Tsk. 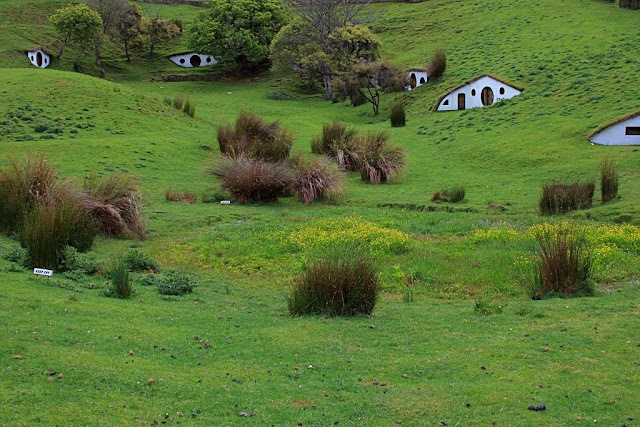 See how Hobbiton has changed in 2011 after the completion of the filming of The Hobbit!